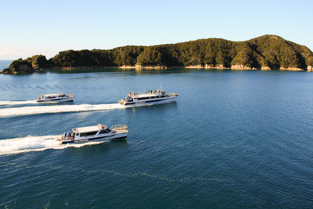 Sea Shuttle welcomes you into the Abel Tasman National Park, we are a locally owned transport & adventure tourism operator with purpose built catamarans and we specialise in taking clients into the Abel Tasman National Park by boat with our customized fleet of ferries and with our sea kayak company. 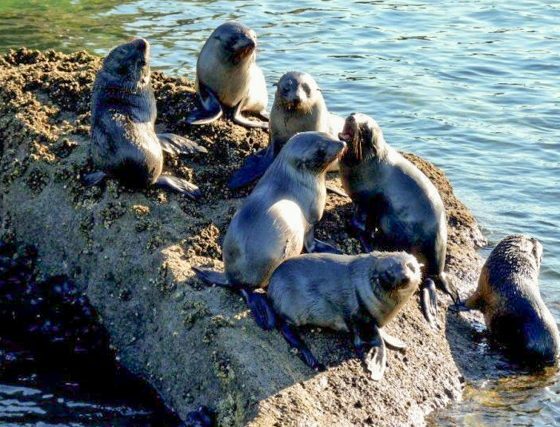 It’s an exciting maritime environment and our team take pride in teaching our guests about the area, including the history, landscapes and creatures within it. 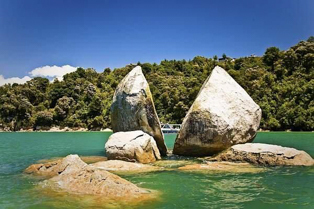 We are based in picturesque Kaiteriteri, with it’s stunning beach and proximity to the Abel Tasman National Park making it a mecca for kiwis and internationals alike! 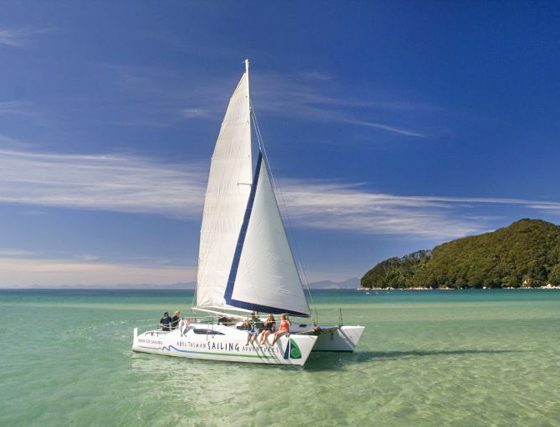 Sit back and relax as we depart from picturesque Kaiteriteri Beach, and seasonally from Nelson City, on a scenic cruise or walk into the Abel Tasman National Park. 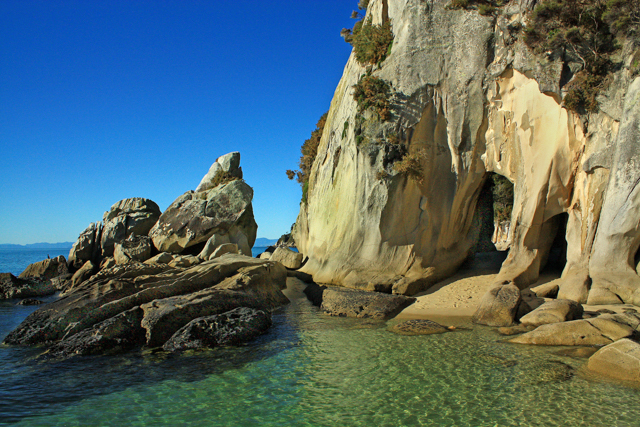 View world-famous Split Apple Rock, New Zealand Fur Seals and wildlife. 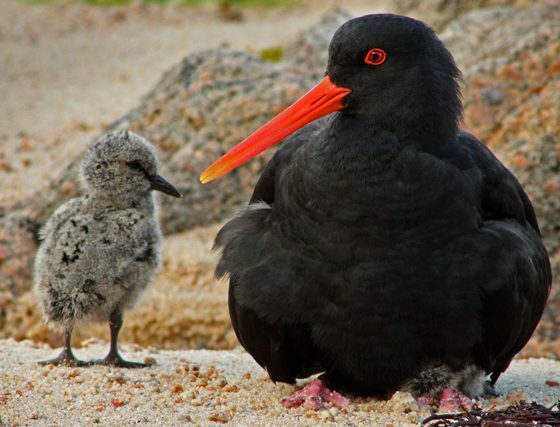 Depart 9.00am All Discoverer Day Trips encompass A Full Scenic Cruise from Kaiteriteri to Totaranui and return viewing fur seals and visiting beaches on the way. 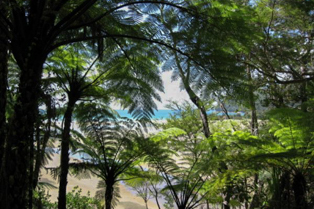 An unguided walk in the park, see lush native bush, beautiful golden beaches, hear native birdsong then pick-up time to suit your travel requirements. 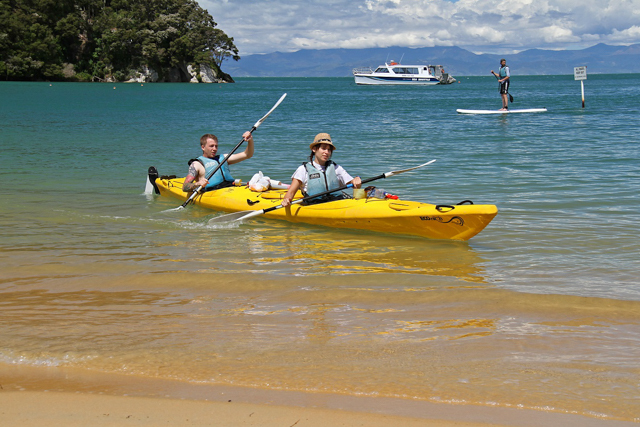 Option B: 10.5km, 4 hours. 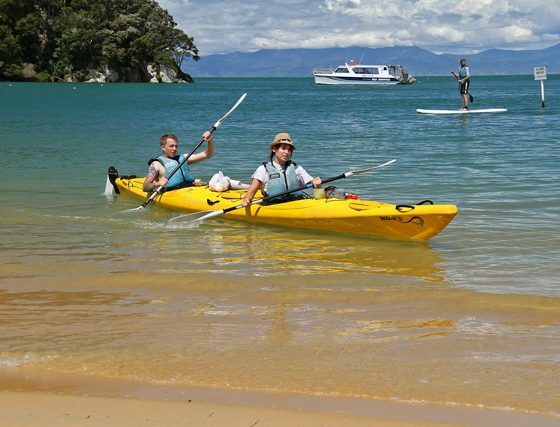 Leave Kaiteriteri 9.00am enjoy cruise to Totaranui then back to Medlands Beach enjoy your walk to Anchorage for a 3.45pm pick-up back to Kaiteriteri. 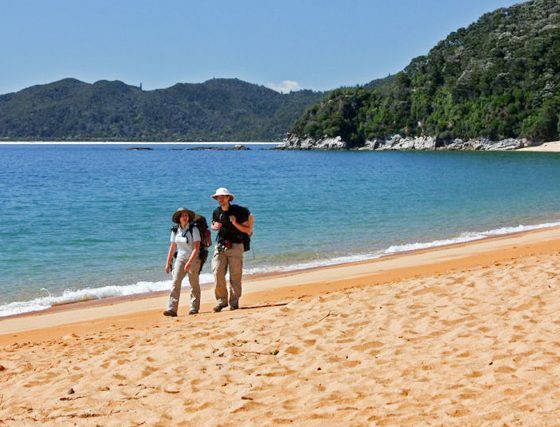 This is graded as a comfortable walk, recommended to take a light day pack with water. 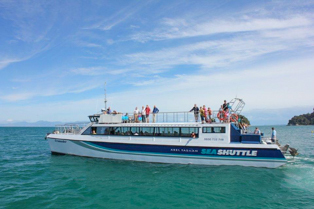 Option A: 7.5km, 2.5 hours. 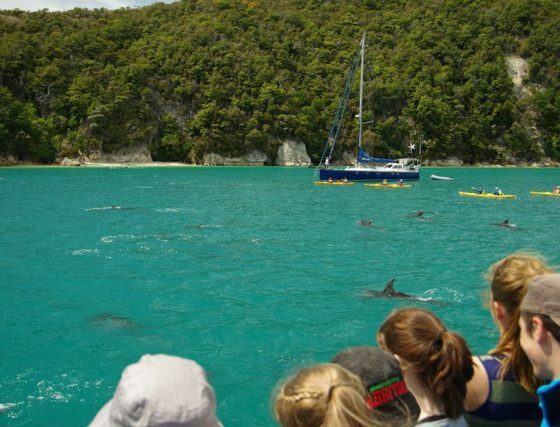 Leave Kaiteriteri 9.00am enjoy cruise to Totaranui then back to Apple Tree Bay 12.00pm drop-off. 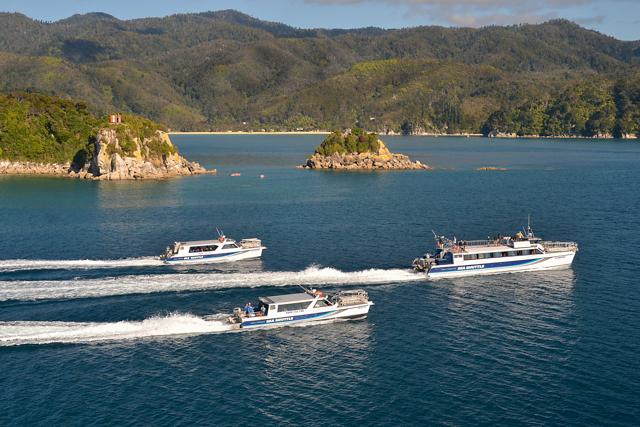 Pick-up from Anchorage 3.45pm back to Kaiteriteri. 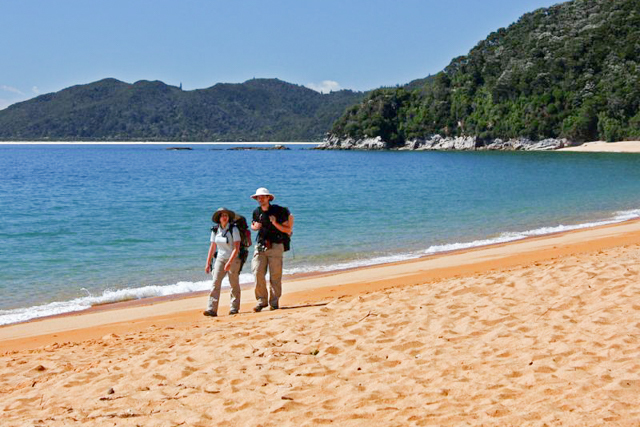 This is graded as a comfortable walk, recommended to take a light day pack with water. 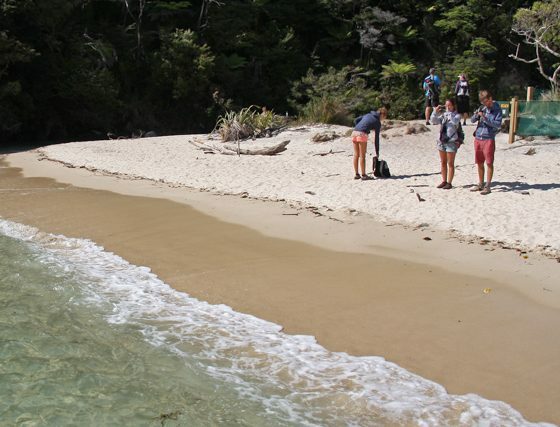 Depart 9.00am Let our guides take you on a hike through the Abel Tasman National park all the while introducing you to the native flora and fauna within the forests and beaches of the park. 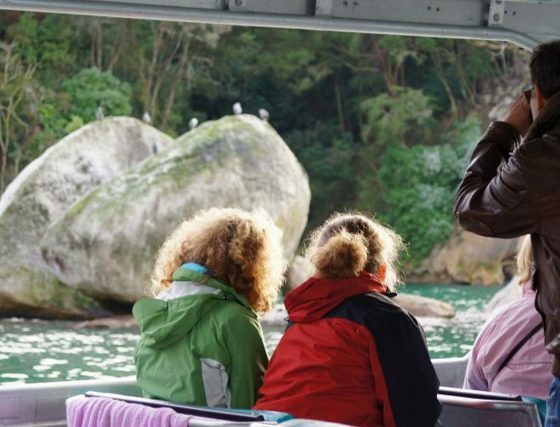 They will tell stories of the local Maori who have been guardians of this landscape for centuries as well as the European arrival and creation of the National Park itself. 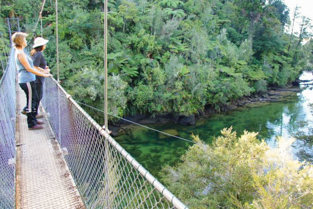 Option D: 10.5km, 4 hours. 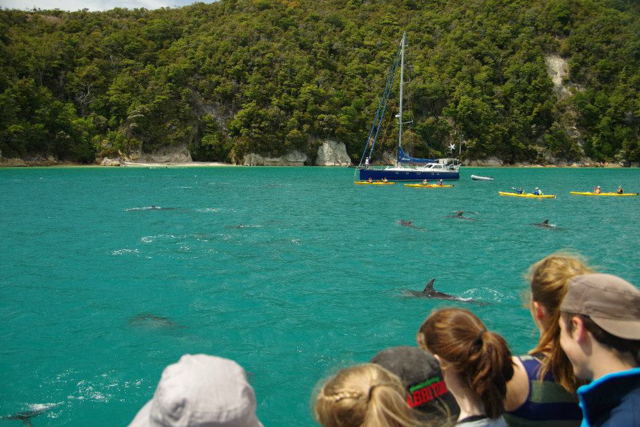 Leave Kaiteriteri 9.00am enjoy cruise to Medlands Beach enjoy your Guided walk to Anchorage for a 3.45pm pick-up back to Kaiteriteri. 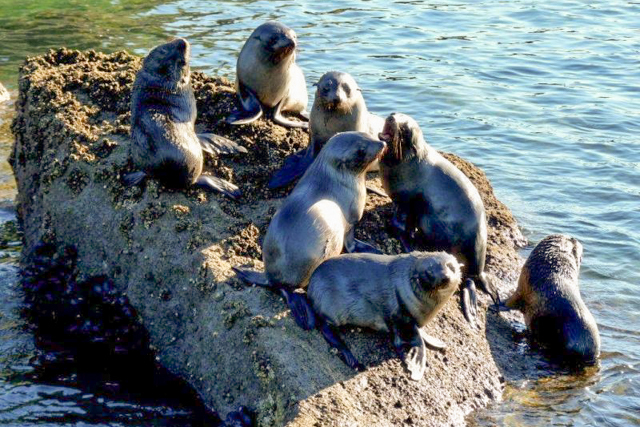 Take our informative cruise from Kaiteriteri to Awaroa viewing seals on the way. 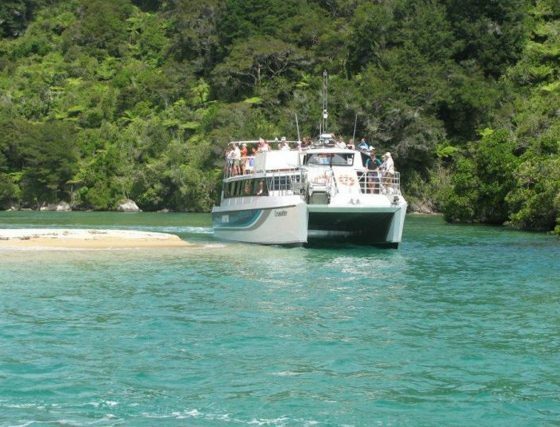 Relax on the golden sand beach at Awaroa or buy a delicious lunch and enjoy the hospitality at Awaroa Lodge and Café (own expense). 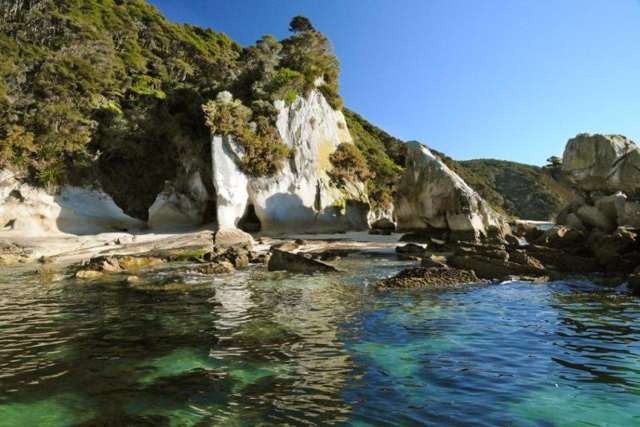 When you are ready hike 1.75 hours to Tonga Quarry and take in the views. 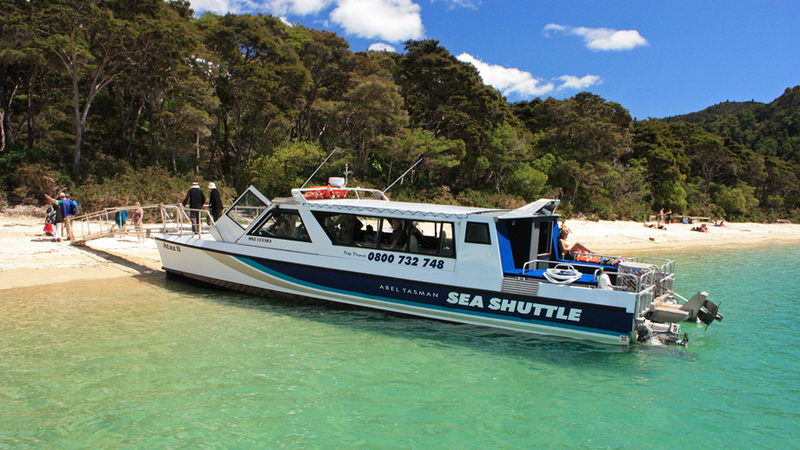 Return Pick up: 3:10pm at Tonga Quarry. 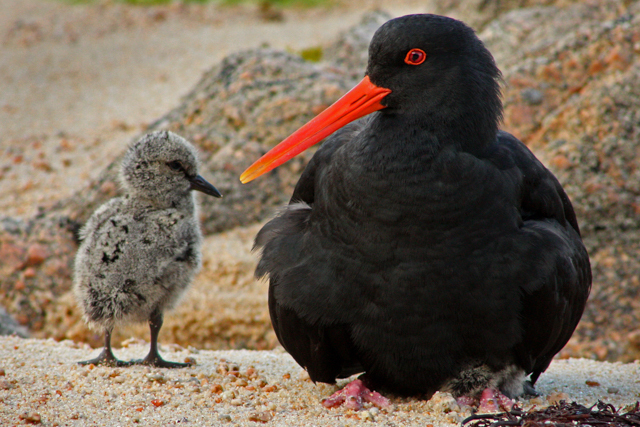 A great family option! 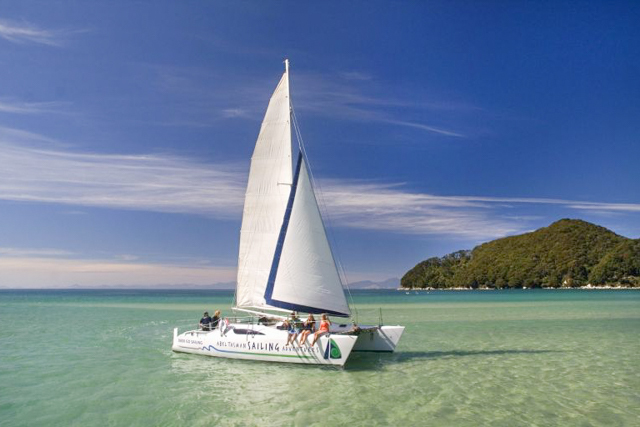 Depart Kaiteriteri for Anchorage and relax on the beach. 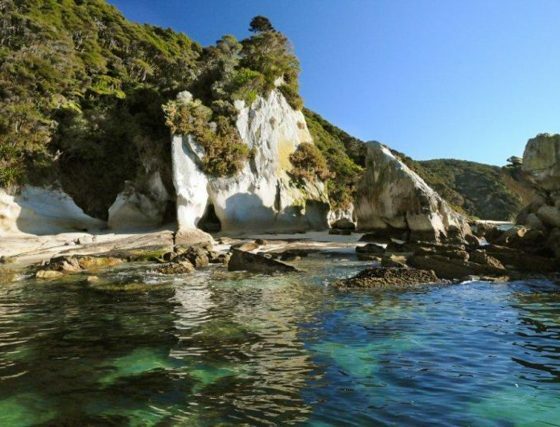 Enjoy a one hour return walk to Te Pukatea Bay; a 1½ hour return walk to Pitt Head to view the lighthouse and panoramic views, or from Anchorage – walk to Cleopatra’s Pool. 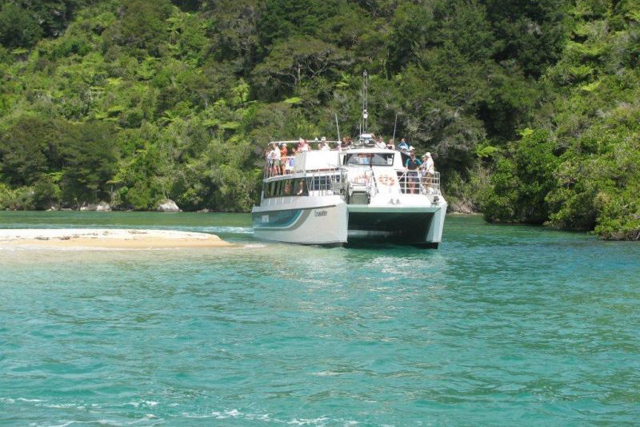 This is graded as a comfortable walk. 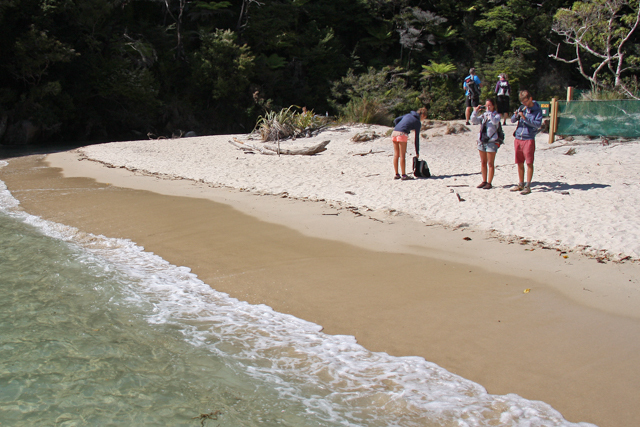 For those short on time & still want to see the best of the Abel Tasman National Park, this trip is for you! 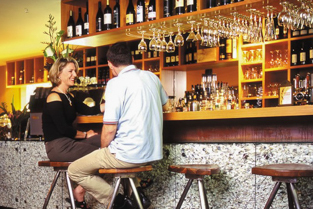 You can experience a LOT in a couple of hours with us. 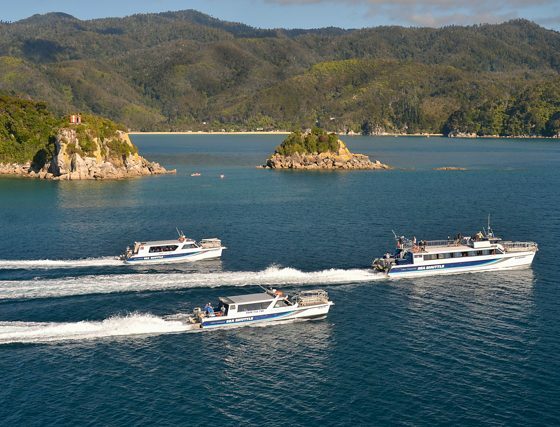 Sit back and relax as we depart from picturesque Kaiteriteri Beach on a scenic cruise right into the bays, islands and beaches of the majestic Abel Tasman National Park. 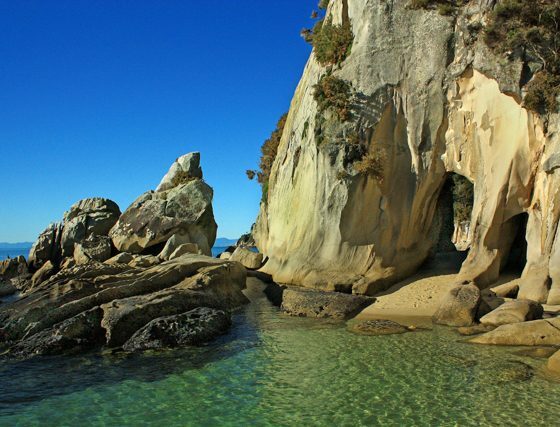 You’ll get a chance to see and photograph the world-famous Split Apple Rock from close up, see native Fur Seals (Kekeno) in their natural habitat, marvel at the golden sands and the turquoise waters of the Astrolabe Roadstead, Anchorage, Bark Bay and Medlands beach all before you return to Kaiteriteri. 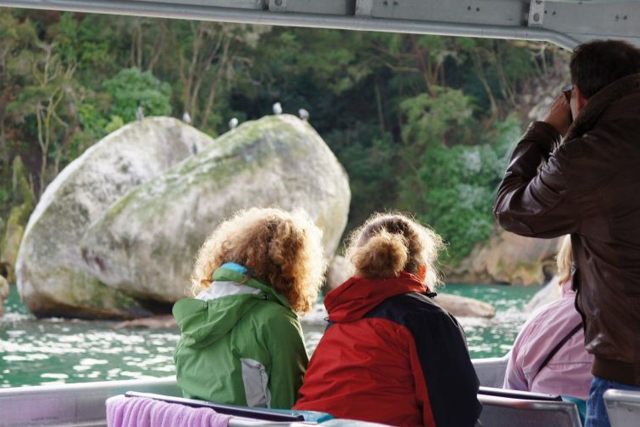 This is a great cruise for all ages.